Subcompact sedans are no longer the penalty boxes on wheels they once were. Witness the 2018 Kia Rio and the 2018 Honda Fit, two pint-size cars with good room inside, decent fuel economy, and available high-tech features accompanied by price tags that won’t break the bank. We rate the 2018 Fit just ahead of the 2018 Rio, at 6.0 versus 5.4 out of 10 overall. 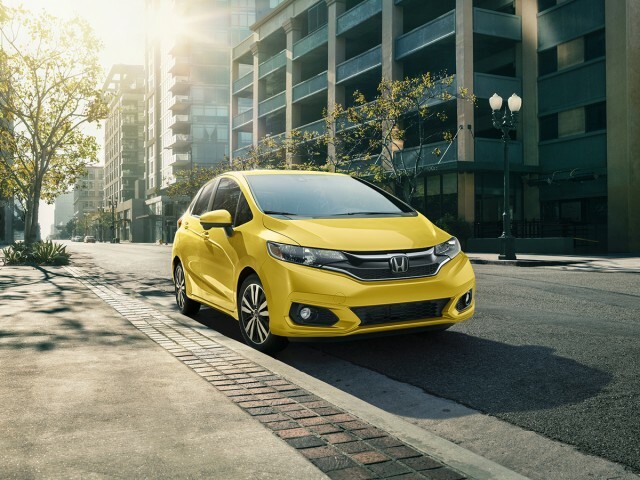 The Fit noses ahead on account of its roomy, versatile hatchback configuration. The Rio is also offered as a hatch, while a conventional sedan is the far more popular body style. Under their hoods, both the Rio and Fit are simple, with 4-cylinder power, front-wheel drive, and a choice of manual or automatic transmissions. 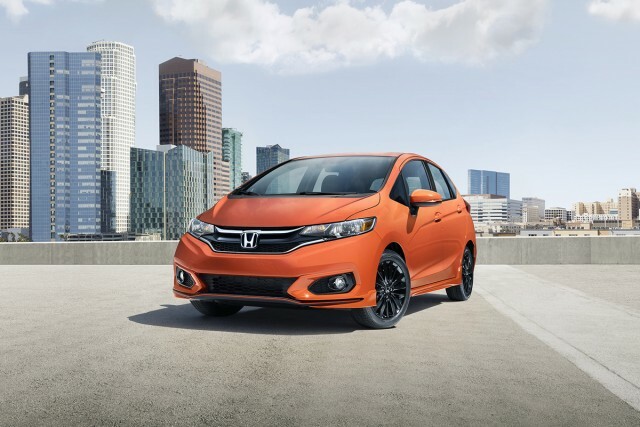 In the case of the Fit, the default engine is a 130-horsepower inline-4 paired to either a 6-speed manual or a continuously variable transmission (CVT) that sends power to the front wheels. The Rio makes the same power on paper and also comes standard with a 6-speed stick shift, but only on the sparsely equipped base model. The vast majority of Rios are built with a slick 6-speed automatic. The Fit drives with character. It doesn’t quite have the handling magic of the first-generation car, but it’s a pleasant way to weave through traffic. Minor revisions to its suspension and steering this year help out too. By contrast, the Rio feels more like a sized-down compact sedan. It’s mature, with a quiet, classy ride, and handling that’s safe, secure, and grown-up. It’s not as fun as the Fit, but it’s composed and it positively erases bad memories of cheap-o Rios of yore. Both are fuel-efficient, but their limited power means their engines work hard to move them. 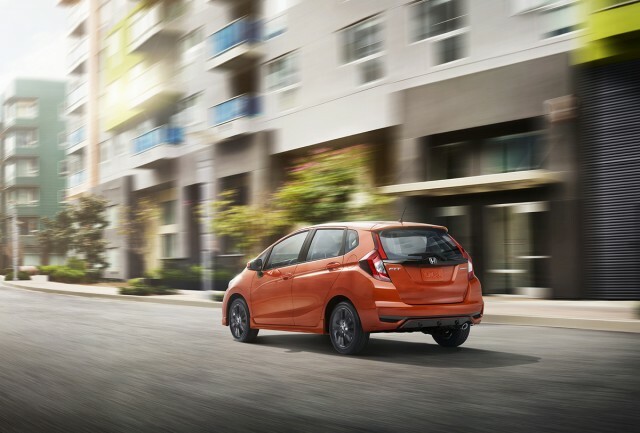 That dents fuel economy to 28 mpg city, 37 highway, 32 combined for the Rio and 31/36/33 mpg for most versions of the Fit. Some compact cars, a size up from the Fit and Rio, now top 40 mpg on the highway on account of their stronger engines. Then again, those cars aren’t as easy to park in town and they’re more expensive to buy initially. 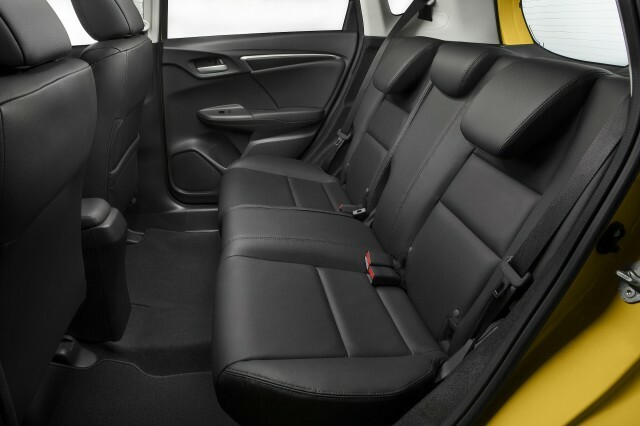 Inside, the Fit is exceptionally flexible and remarkably roomy. Chair-like front seats sit passengers upright and the view out is excellent thanks to narrow roof pillars. The real tricks are in the second row, a bench with a bottom cushion that flips up to reveal a tall, useful space right behind the front seats. Dubbed Magic Seat, there’s also a mode in which the front and rear right-side seats fold down to hold a longer object like a ladder. The rear seats even have a reclining back rest for road-trip naps. The Rio doesn’t offer that kind of flexibility in its hatchback bodystyle. 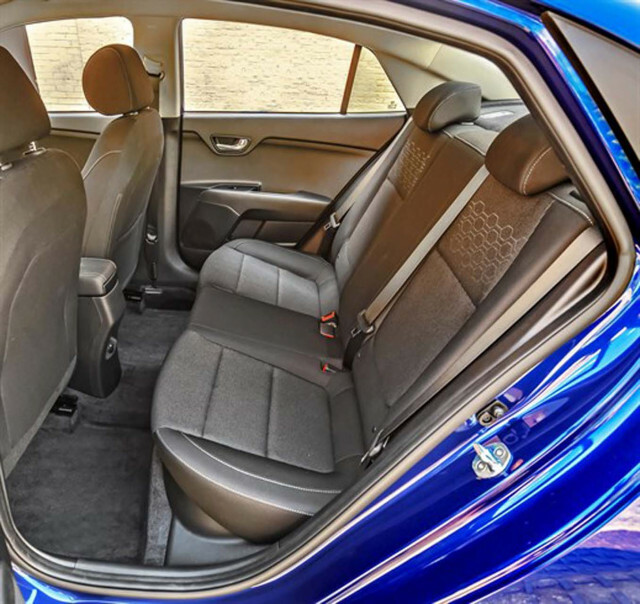 Instead, it delivers an upscale feel with excellent fit-and-finish and a roomy back seat that folds flat on higher trim levels. Though it may be a small car, the Rio can be loaded up with some class-up features. The base LX trim level is simple with roll-up windows, but the Rio S adds power features, Bluetooth, and cruise control, and an automatic. 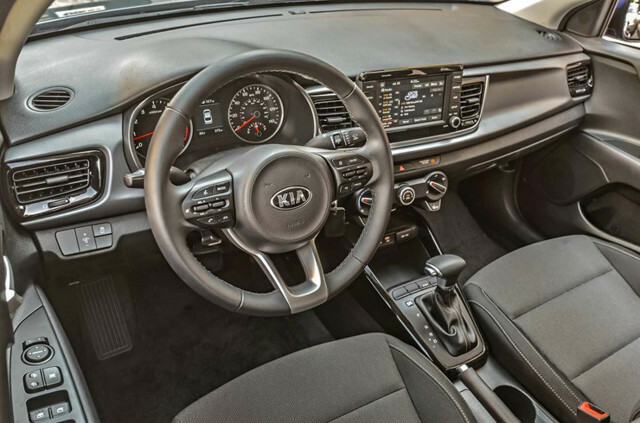 The EX tosses in a 7.0-inch touchscreen for infotainment with Apple CarPlay and Android Auto plus automatic emergency braking for under $20,000, even in the hatchback bodystyle. The Honda Fit comes with more—but it also costs more. The Fit LX comes equipped about like the Rio LX, albeit with a standard manual transmission (the automatic runs an extra $800). For many buyers, it may be worth stepping up to the Fit EX with its 16-inch alloy wheels, and 7.0-inch infotainment with CarPlay and Android compatibility. An extra $1,000 nets buyers a host of desirable safety tech like automatic emergency braking, adaptive cruise control, and active lane control. The downside? At that point, you’ve topped $20,000. Keep going and you’ll top out at about $22,500, albeit with heated leather seats and navigation. That’s a choice we probably wouldn’t make since a Honda Civic EX sitting across the showroom is actually less, but it’s a reminder that subcompacts like can be aspirational. Here, the Fit is our choice—but the budget-friendly Rio makes plenty of sense, too. Sleeker and a little sharper, the 2018 Kia Rio looks best as a hatch. The Kia Rio does the best with the power it has, and that’s good enough. 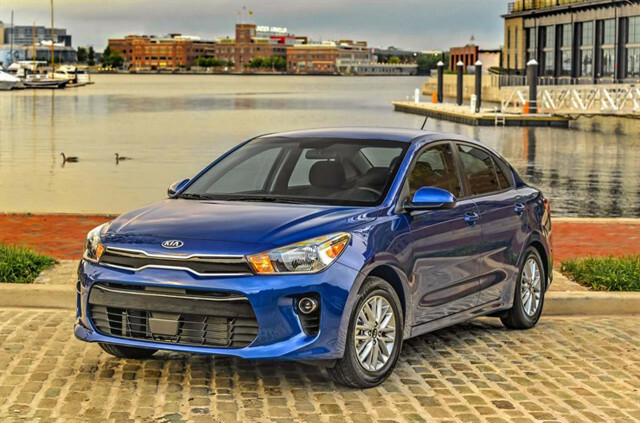 The Kia Rio is quiet and comfortable for adults, which is an improvement over outgoing models. It’s not hard to improve over the last-generation’s scores, but the new Kia Rio opts out of some common-sense safety equipment. 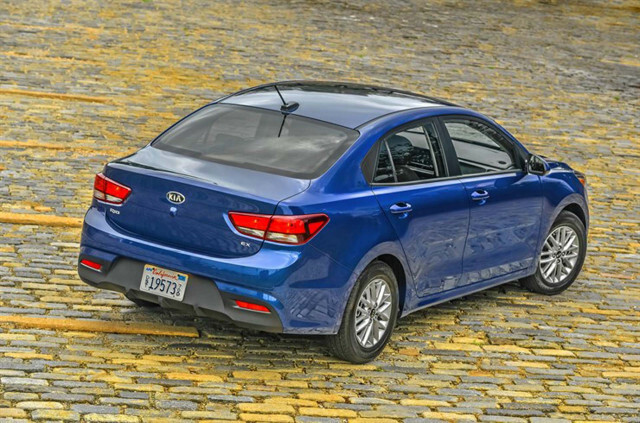 Buyers won’t be blown away by the 2018 Kia Rio’s content, but what’s there is good. 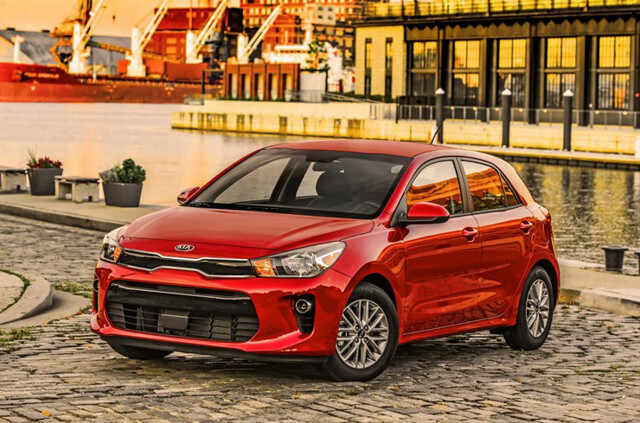 Four doors or five, two pedals or three, the Kia Rio’s fuel economy is simple: 32 mpg combined. We have sent your request for price quotes on the 2018 Honda Fit and 2018 Kia Rio to the dealers you requested. They should be in touch shortly. Your request for a fast, free price quote on a 2018 Honda Fit and 2018 Kia Rio is in process. The CarsDirect Dealer(s) listed below will contact you shortly to discuss your request and to provide a quote.